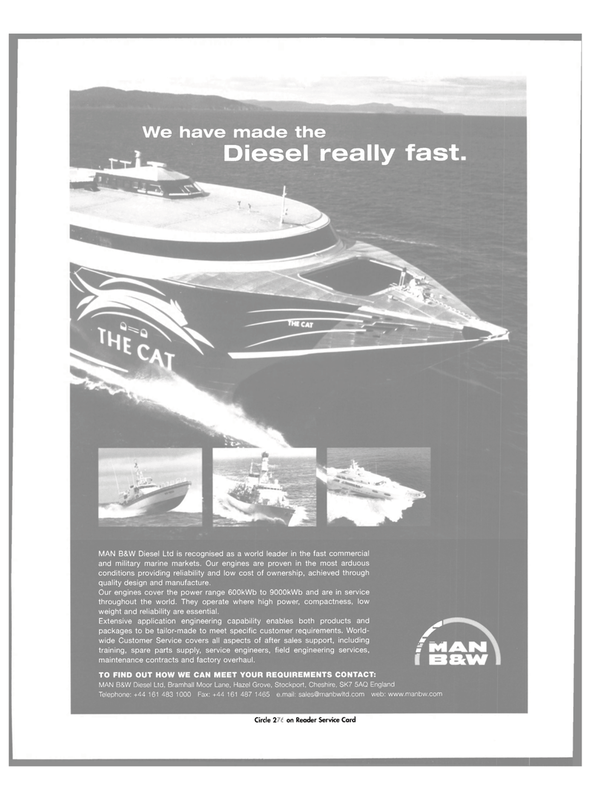 MAN B&W Diesel Ltd is recognised as a world leader in the fast commercial and military marine markets. Our engines are proven in the most arduous conditions providing reliability and low cost of ownership, achieved through quality design and manufacture. Our engines cover the power range 600kWb to 9000kWb and are in service throughout the world. They operate where high power, compactness, low weight and reliability are essential. Extensive application engineering capability enables both products and ^ packages to be tailor-made to meet specific customer requirements. World- ^^ wide Customer Service covers all aspects of after sales support, including Jr — . training, spare parts supply, service engineers, field engineering services, m maintenance contracts and factory overhaul.